Maid Marian on shed for 2014 AGM. photo: G Baxendale. Maid Marian is 0-4-0 saddle tank locomotive built by Hunslet of Leeds in 1903. Until 1964 she worked slate trucks in the famous Dinorwic slate quarries. 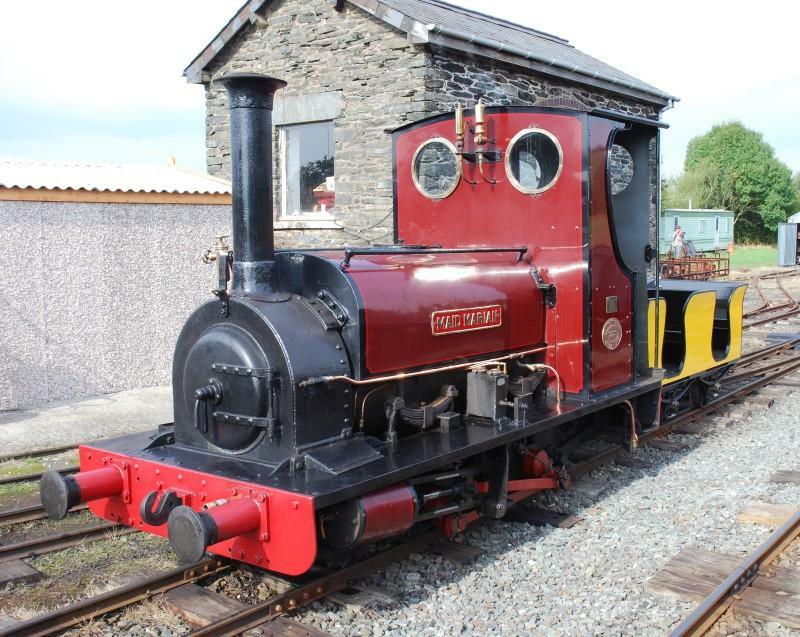 When these closed the Maid was purchased by a group of enthusiasts and is now based at the Bala Lake Railway where she shares the passenger hauling duties with other Hunslets, Holy War, Alice and Winifred. A new design of card is now available. See the latest progress report for details. SeeProgress Reports page for the latest news. November 2018's now on-line. The Fund still has a number of packs of notelets available at the greatly reduced price of £3.50 per pack of 6 assorted notelets. These are A6 sized and show assorted quarry scenes from the Doug Carrington archive; the inside of the notelets is blank for your own message. SeeSales Items page for details. All the profits from these sales go towards paying off the loans that were made back in 2007 when the new boiler was built; the Fund still owes a 5 - figure sum so any contributions are welcome. Progress Reports 2001/2/3/4/5/6/7/8/9/10/11/13/14/15/16/17/18 New: November 18 Report. To obtain a printable application form for membership of the Fund Click here. This popular book has now being reprinted by the Bala Lake Railway Society and is available from the Station or can be purchased for £4.50 (including post and package) from Brian G Wills. Chairman Bala Lake Railway Society, 37 Vulcan Street, Holyhead. LL65 1TL. Cheques should be made out to the Bala Lake Railway Society and please mention that you are a member of the Fund when you make your order. You are Visitor No. : Counter Provided by: Click the image for info. using an Acorn StrongARM RiscPC and HTML³ by Richard Goodwin.